KVK Ferozepur organized New India Manthan “Sankalp se Sidhi” Programme on 7.9 2017 at 9.30 am. In this programme in which 525 farmers/ farm women and officials of line departments participated. The exhibitions were organsied by the line departments and self help groups. The Chief guest Mrs Satkar Kaur Gehri, MLA, Ferozepur (Rural) and Sh. Ramveer, District Commissioner, Ferozepur visited the exhibitions exhibited by the various departments and self help groups. Dr G S, Aulakh, Programme coordinator, KVK Ferozepur welcomed the esteemed guests and participants followed by the Lectures of scientists on latest agricultural technologies. 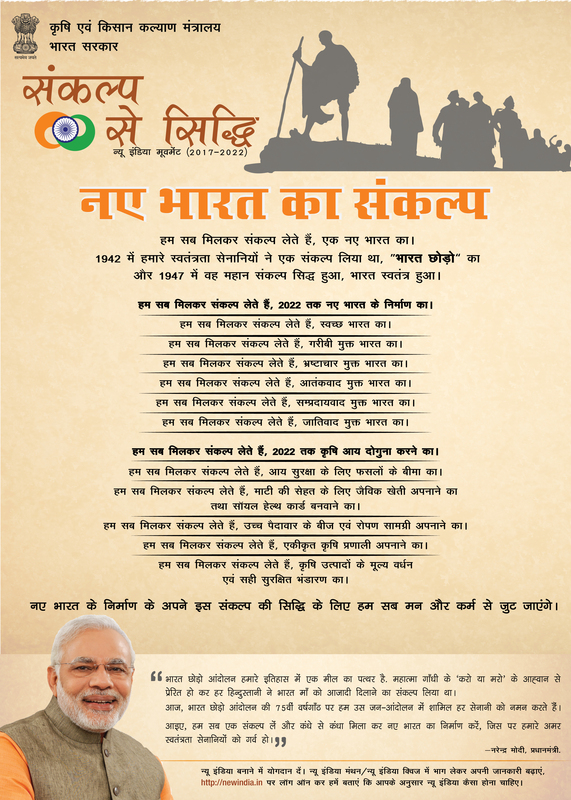 The Pledge for new India Manthan was taken by all present and the related literature was distributed among them. Feedback of the farmers and farm women was taken regarding the programme.